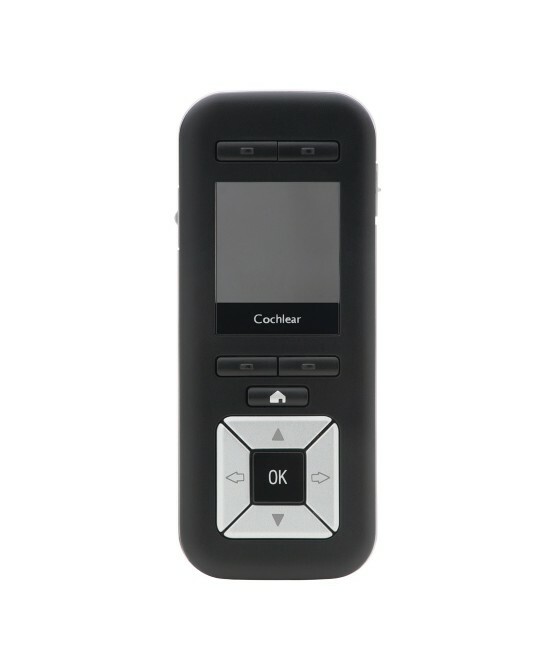 The convenient and user-friendly CR230 Remote Assistant grants you full access to your sound processor’s functionality without having to fumble behind your ear or take it off. After a fast and simple pairing process*, the Remote Assistant lets you monitor and manage your hearing—all at the touch of a button! Of its many functions, the Remote Assistant’s most primary provisions can help you view your sound processor’s status, change and swap between program settings, adjust volume and sensitivity, use telecoil, and even control wireless accessories! With a battery life that can last up to two weeks when fully charged, a handy pin for attaching lanyards, and a large LED screen, the Remote Assistant is ready whenever you are, can go where you go, and displays up-to-date information about your processor clearly and immediately. It is the ultimate tool for anyone who likes to have additional control over their processor, and is especially ideal for parents or other caregivers who can see—at a glance—whether or not their recipients’ processor is working properly. 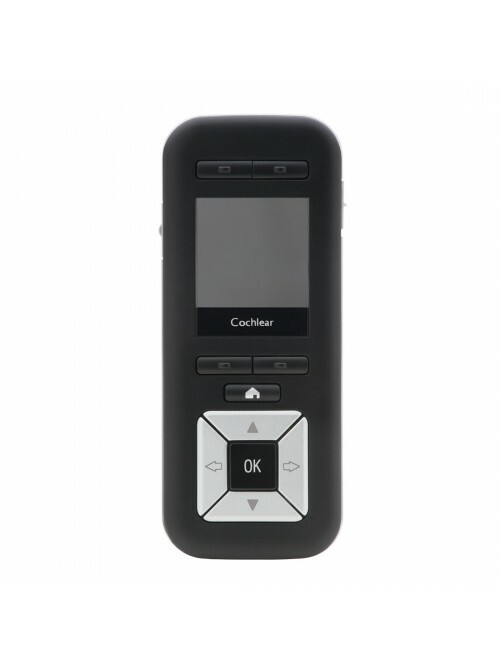 *If you are a bilateral recipient (and have two compatible devices), both can be used with the CR230 Remote Control, but they must be paired separately.